There are many leasing options across New York and NYC, and they all claim to the best. How do you know exactly what you are getting when you go with any one choice? 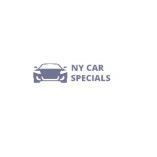 Well, we can’t speak for our competitors in NY, but we can speak for ourselves.... We are the best provider of leasing specials from top to bottom, and our years of customers and their favorable reviews pay tribute to the level of service that we provide.